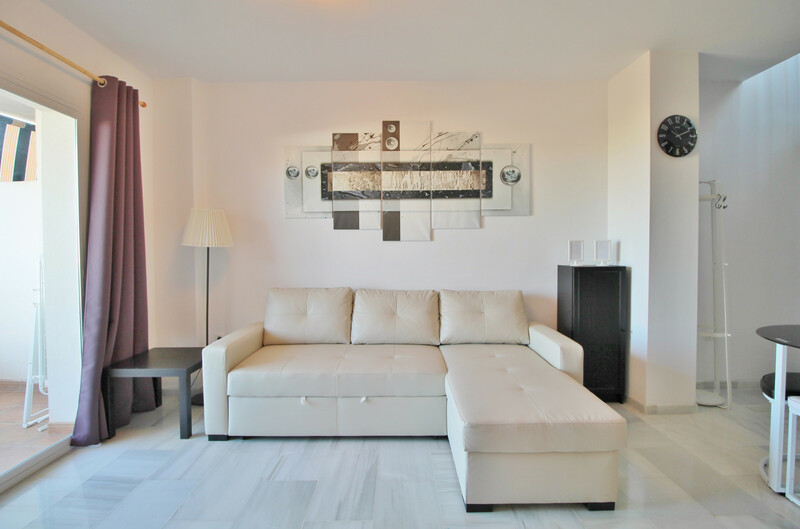 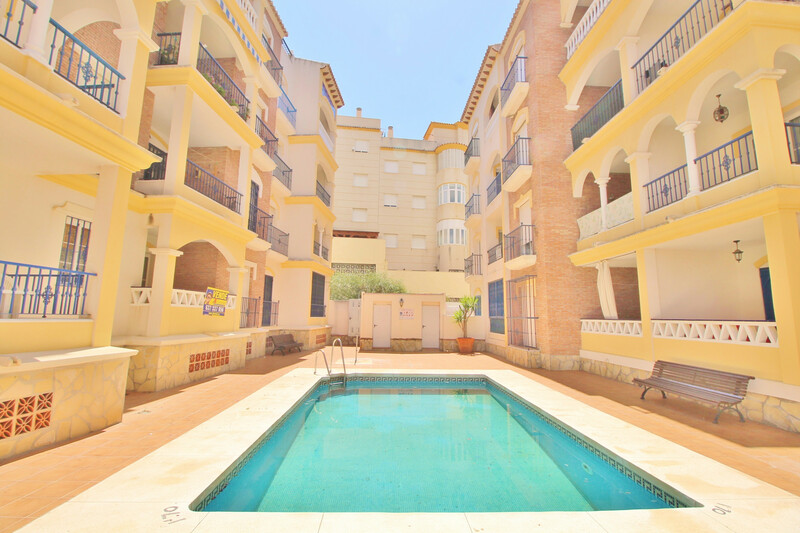 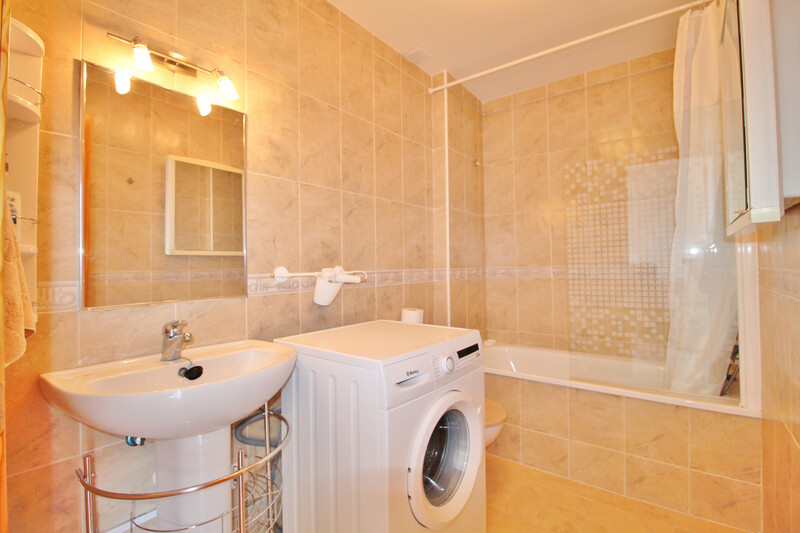 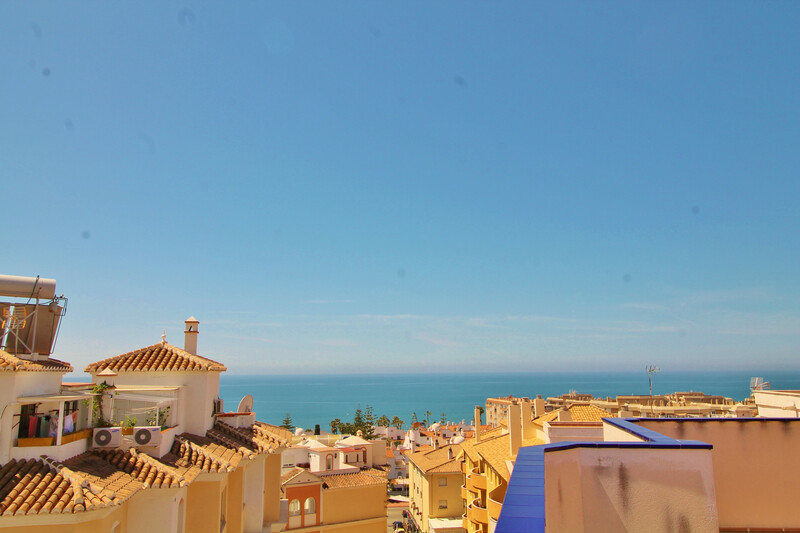 This light and airy split level 1 bedroom apartment in Torrox has one double bedroom, a double sofa bed in the lounge and one bathroom with a maximum capacity of 4 guests. 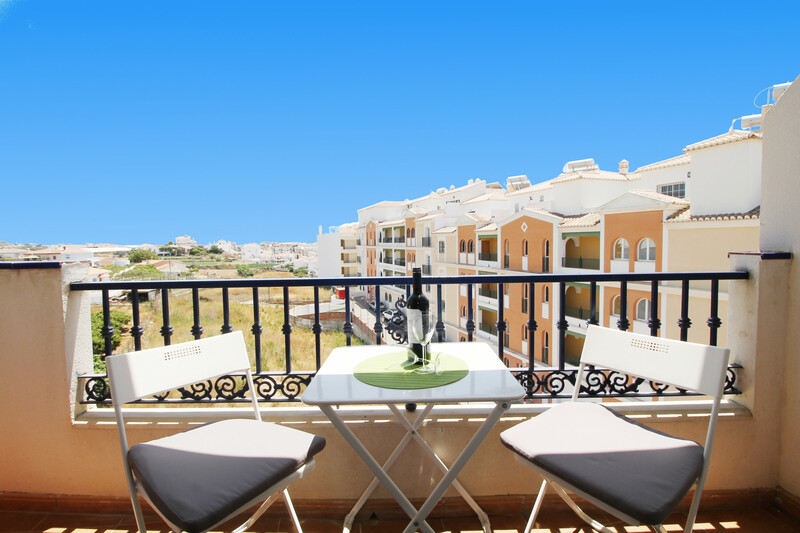 Located on the 3rd floor of an apartment block (with access via a lift) the apartment enjoys the benefit of access to a large swimming pool and separate children's pool, shared with the other residents in the block, and is just a short stroll away from the beach, shops, bars and restaurants in the resort. 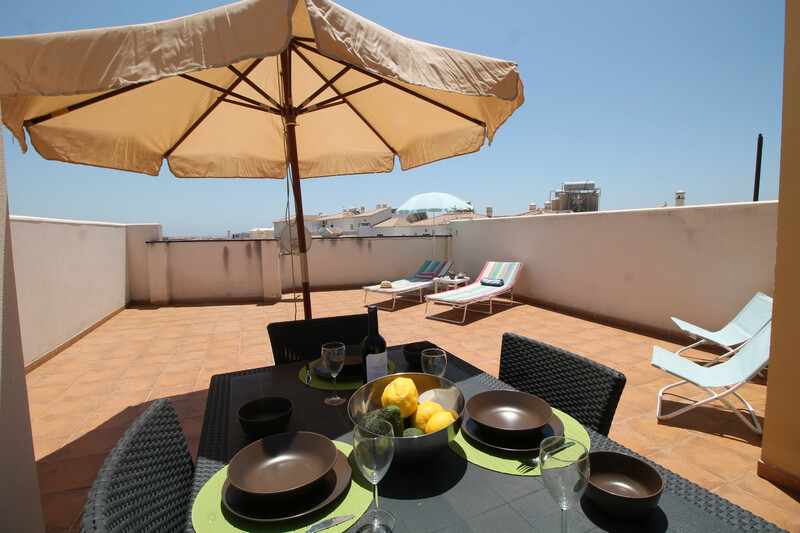 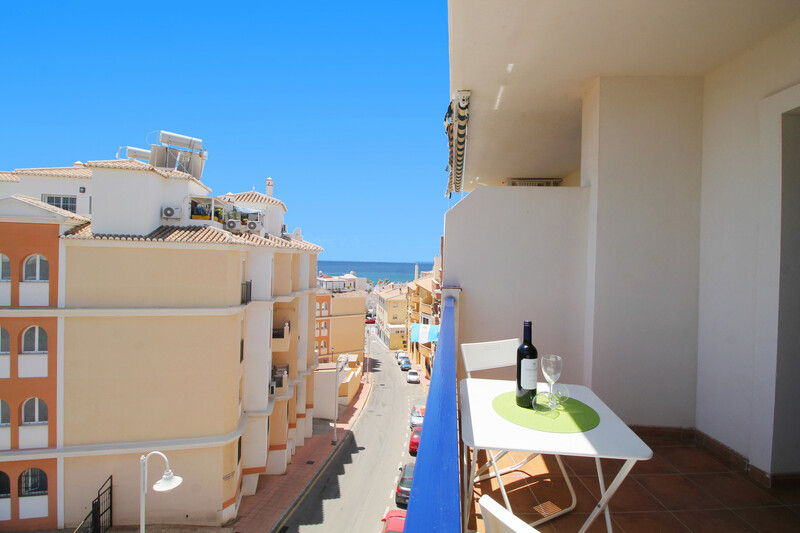 There are lovely sea views from the roof top terrace of this property. 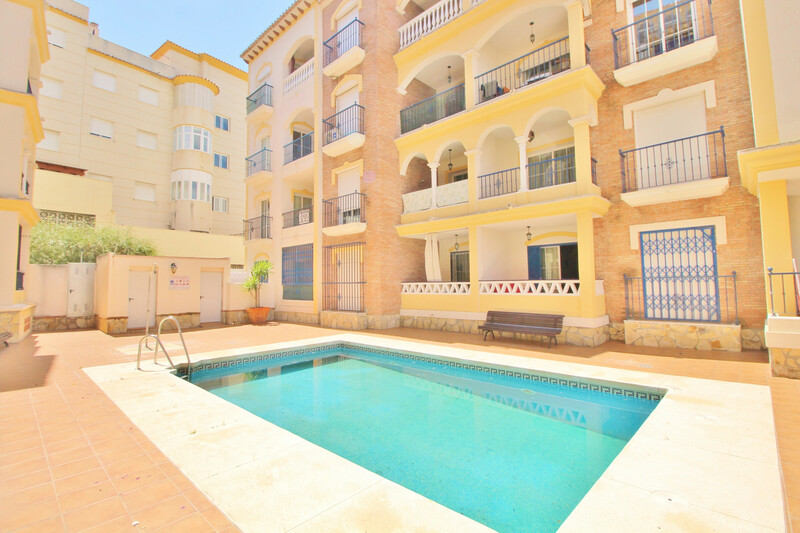 Outside:	Access to a communal pool, balcony with patio furniture on the lower level and spacious roof top terrace with sun beds on the upper level. 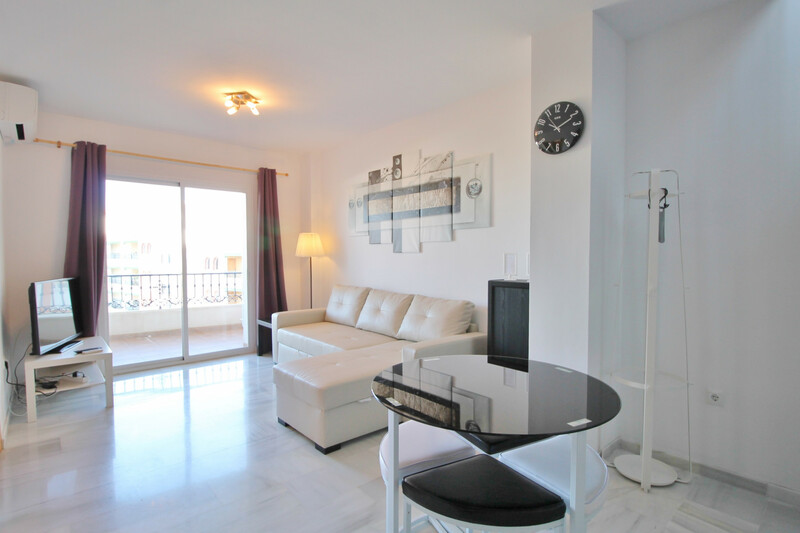 Inside:	Air conditioning in the lounge, Internet (Wi-Fi), iron, hair dryer, TV with satellite channels (languages: Spanish, English, French, German). 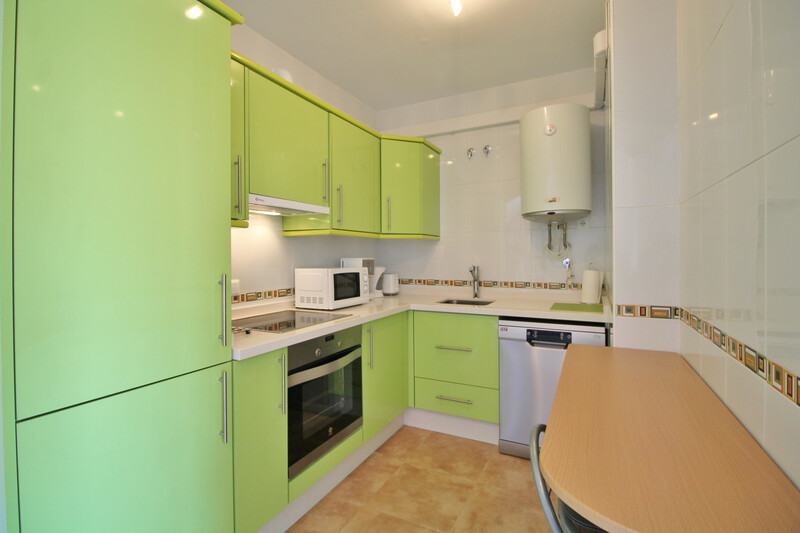 A cot and high chair can be rented locally for a small extra daily charge. 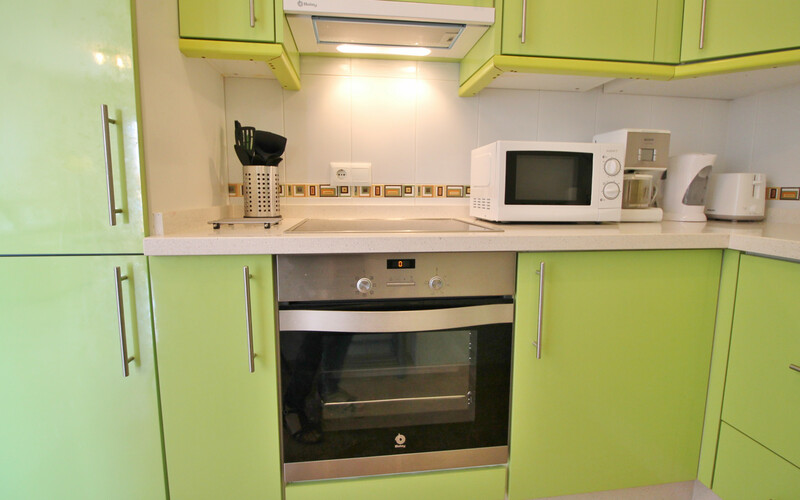 In the kitchen the facilities include refrigerator, microwave, oven, freezer, washing machine, dishwasher, dishes/cutlery, kitchen utensils, coffee machine, toaster, kettle and juicer. 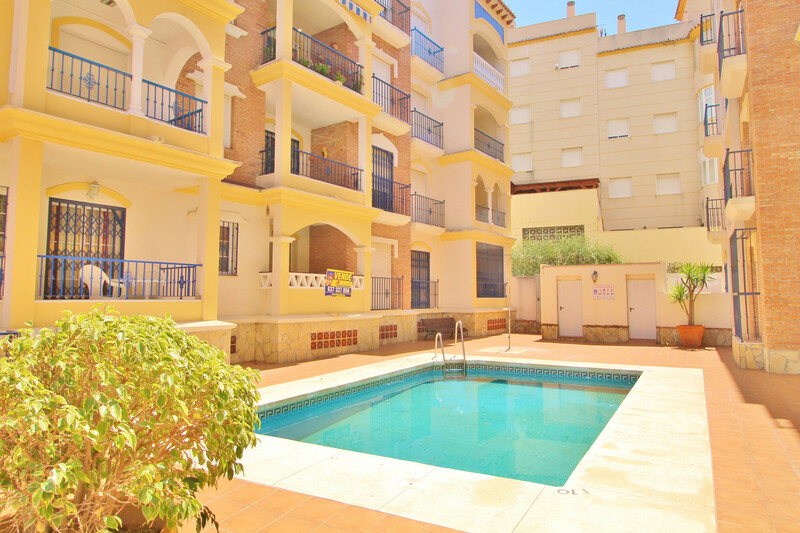 Apartment Olga is located 65 km from Malaga airport, 120 km from Granada airport, 900 meters from Torrox bus station, 400 meters from the beach, 300 meters from Mercadona supermarket, 700 meters from a wide choice of bars and restaurants, 19 km from Aquavelis water park, 8 km from the famous Balcon de Europa in Nerja, 16 km from the famous Nerja caves, 15 km from the pretty hillside village of Frigiliana, 22 km from Baviera Golf course, 75 km from Tivoli world amusement park/theme park in Benalmadena, 110 km from the world famous Alhambra Palace in Granada. 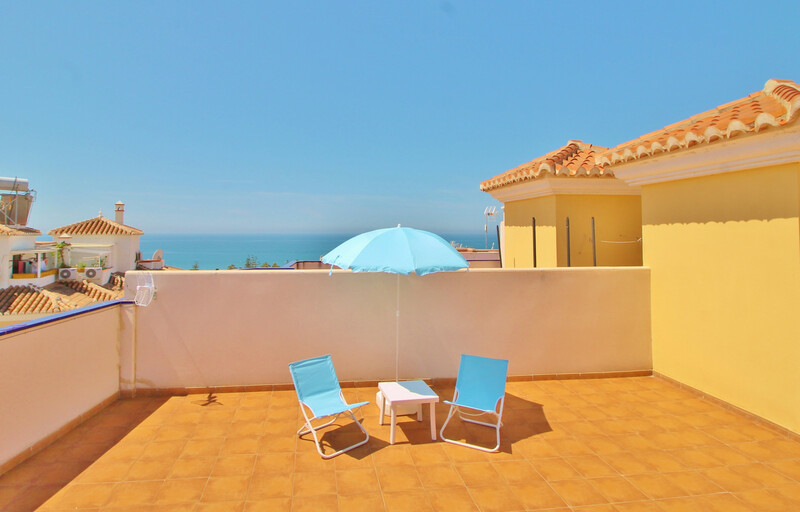 The convenient location of the apartment, near the beach and resort center, makes it a popular choice for families with children and couples who want to be close to all resort amenities. 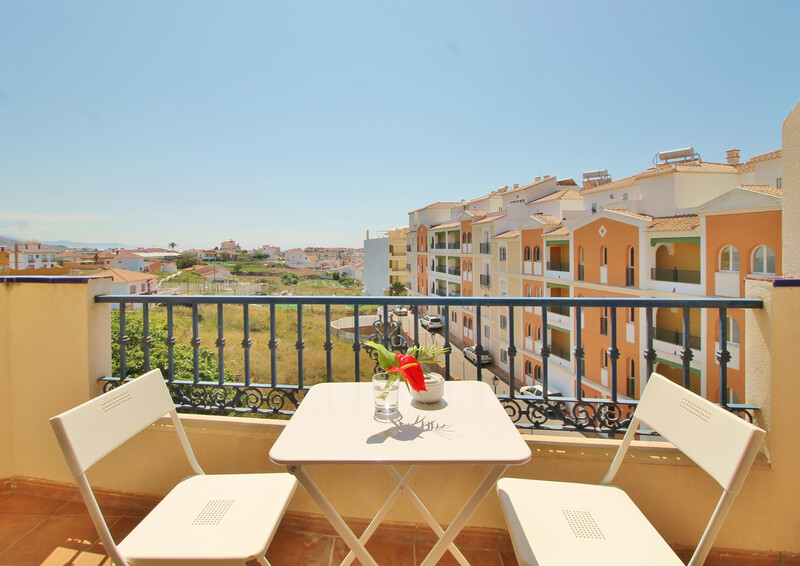 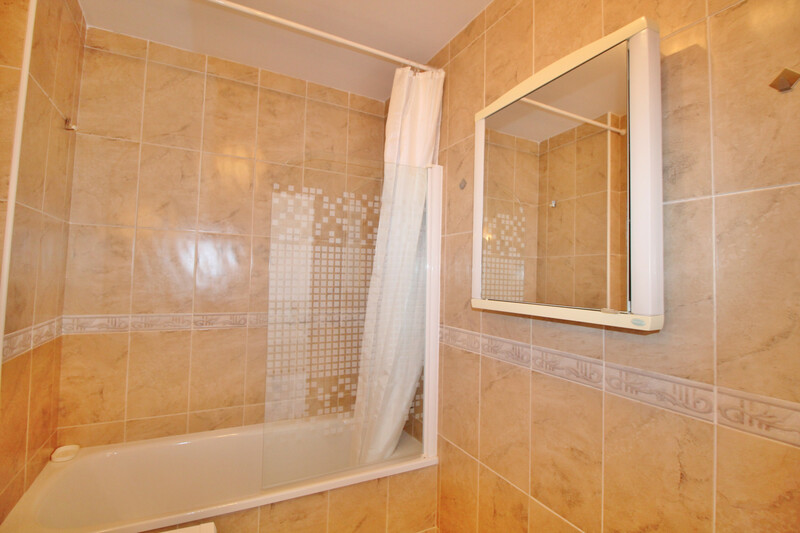 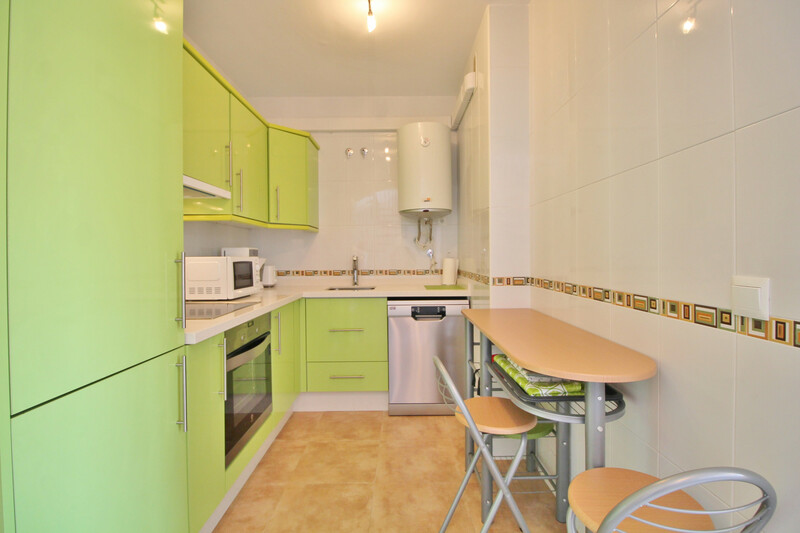 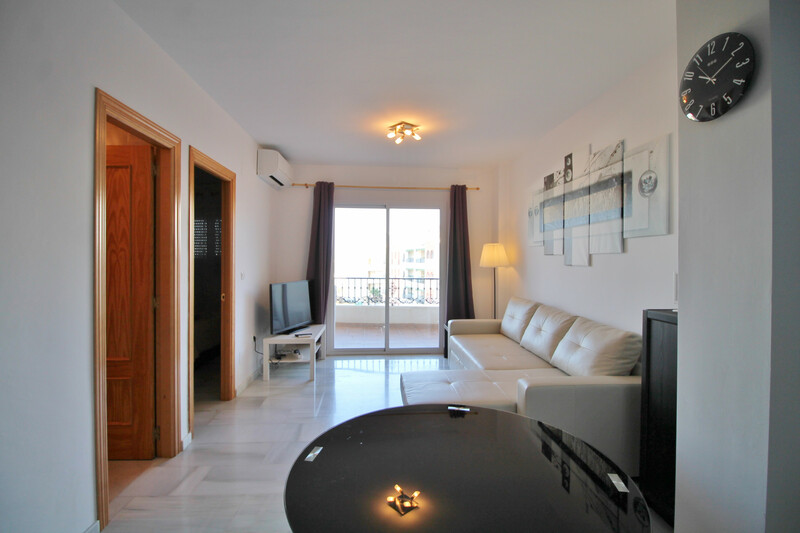 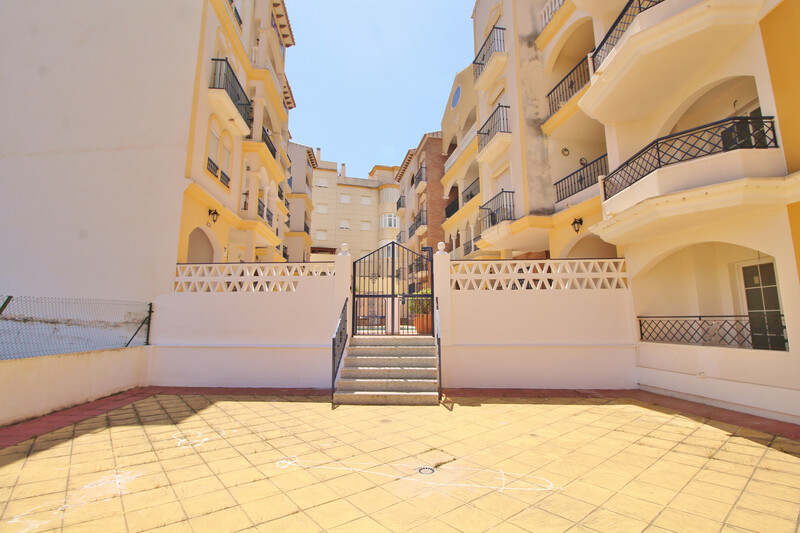 TV, TV Satellite (Languages: Spanish, English, German, French), 3rd floor, lift, garden furniture, 30 m² terrace, iron, internet (Wi-Fi), hair dryer, balcony, 50 m² property, electric heating, air conditioning in the living room, communal swimming pool.